Summer? Did someone say summer? 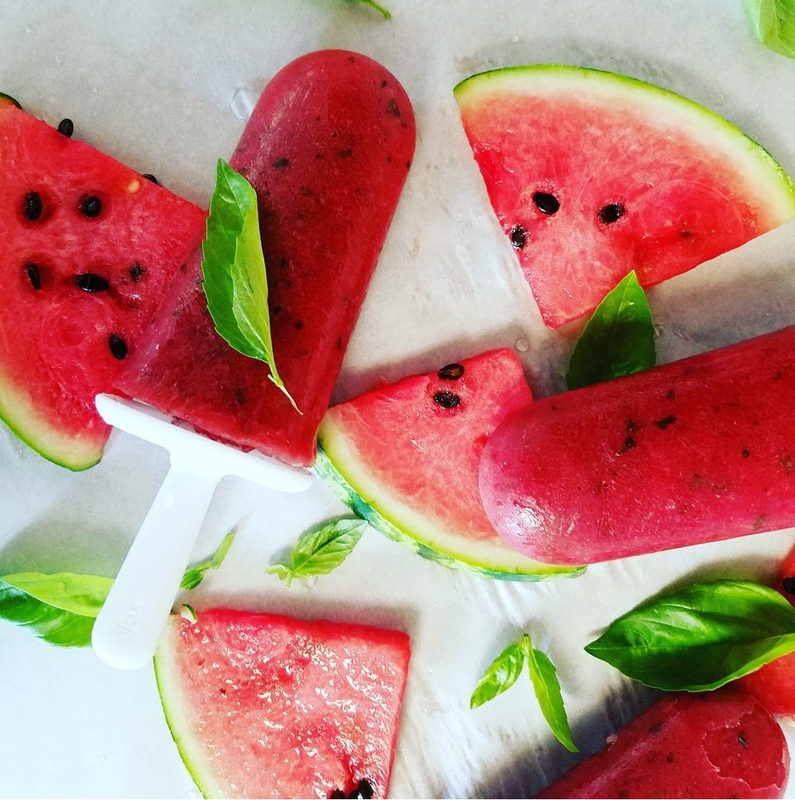 I feel like the taste of watermelon just conjures up rays of the sun, playing in the sprinklers and sweet and sticky popsicles melting down your finger tips. And even as an adult, this sounds just as divine. Maybe not the sticky fingers part, since I am kind of a clean freak. But everything else sounds legit AF. The other great thing about this is that my kids had a fabulous time making them with me. Want more? They were easy. We tossed all the ingredients into my Vitamix and poured it into molds. And lastly, they are healthy and tasty. 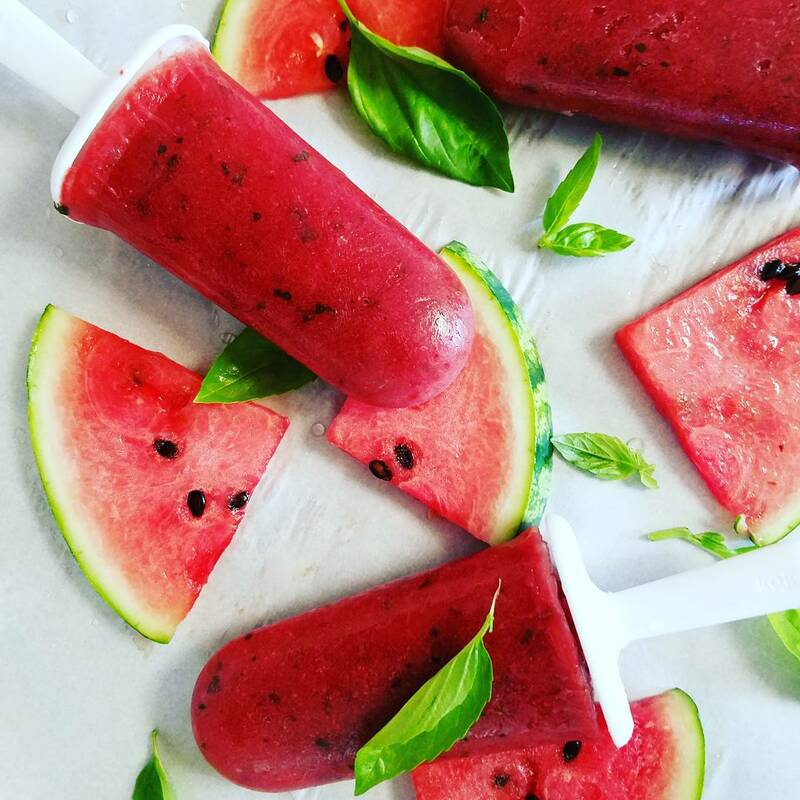 There is nothing in these except for watermelon, strawberries, honey and basil. 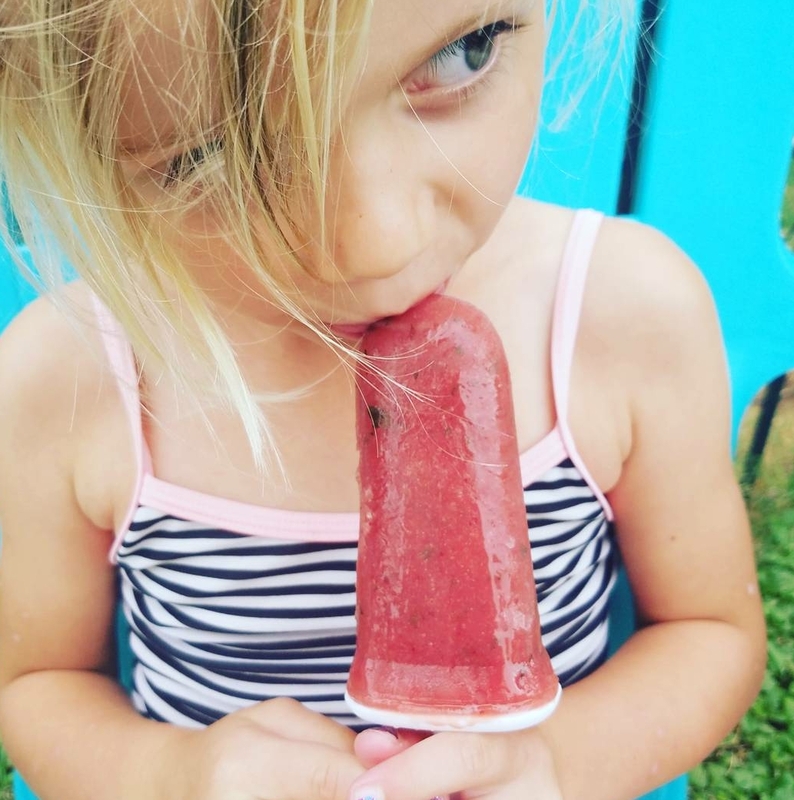 So they sure beat the pants off of the sugar laden popsicles you will find at the super market. My kids loved them too. (As did I.) I was half worried that they wouldn’t be "sugary enough". But my little munchkins, along with the other tiny to medium sized kids in our hood ate them all up. If you’re not a fan a basil, mint would be another great substitution. Of course you could skip the herbs all together, but that would just be silly. Anyway, simple, healthy and scrumptious. Sold. Sold. And sold. 1. 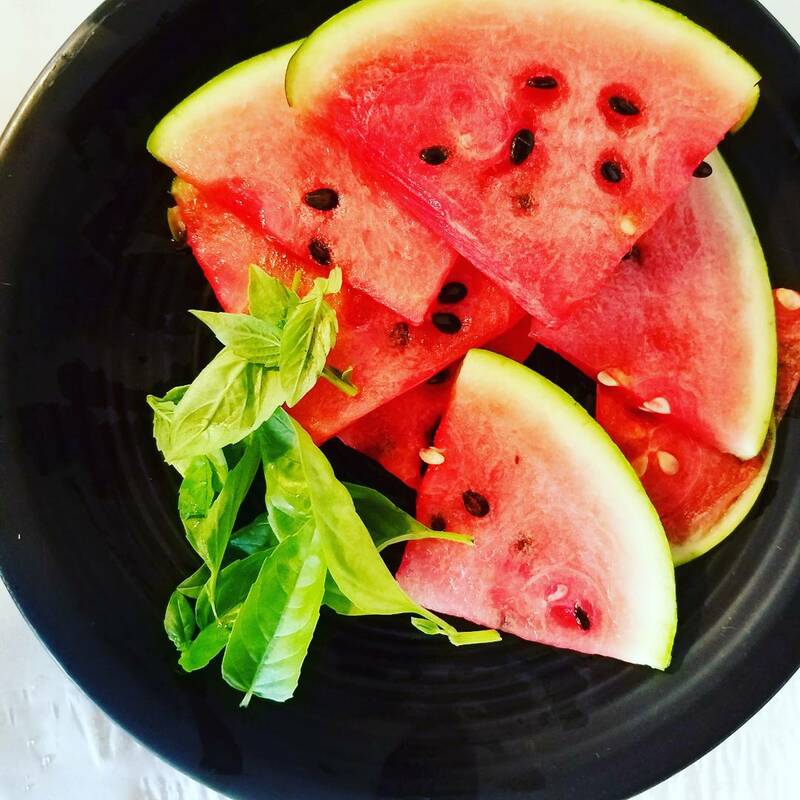 Cut the watermelon, discarding the rind. Cut into pieces that will fit into your blender. Otherwise, size doesn’t matter. You’re welcome boys. 2. 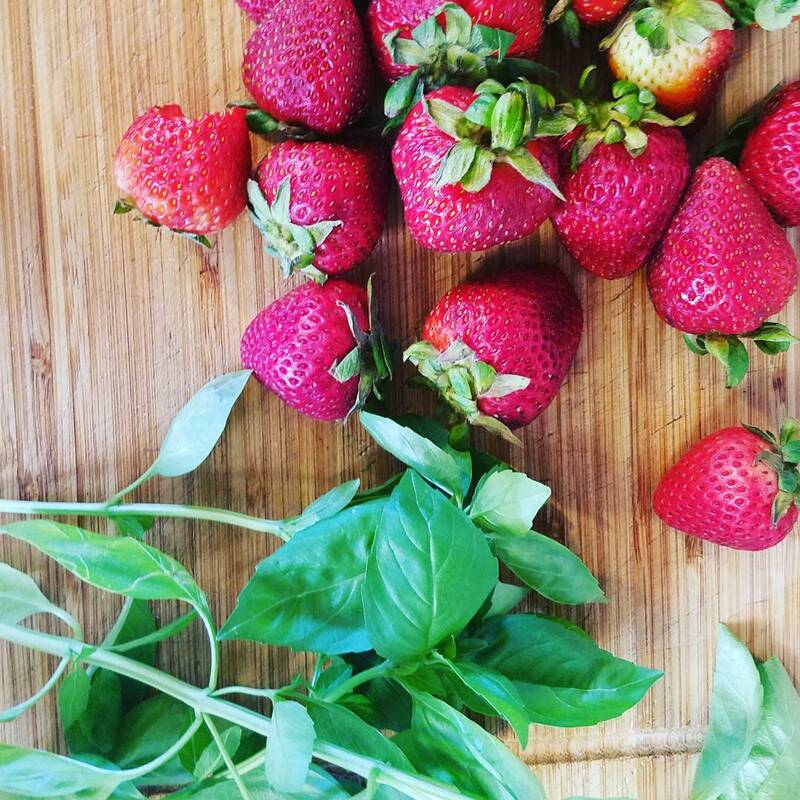 Remove the stems from your strawberries and add them to the blender as well. 3. Add honey and blend until a homogeneous mixture. 4. Add the basil leaves and pulse until the basil is in little flecks.